Sony has denied cross-platform play between PlayStation, Switch, and Xbox consoles on several occasions, which has frustrated gamers of all stripes. Sony's stubbornness regarding cross-console play has affected numerous popular games, including Fortnite, Ark: Survival Evolved, and Rocket League. It seems Bethesda is growing tired of Sony's antics now, though. The company's senior VP of marketing, Pete Hines, said in an interview with Game Informer that cross-console play for the upcoming Elder Scrolls: Legends card game will be "non-negotiable." 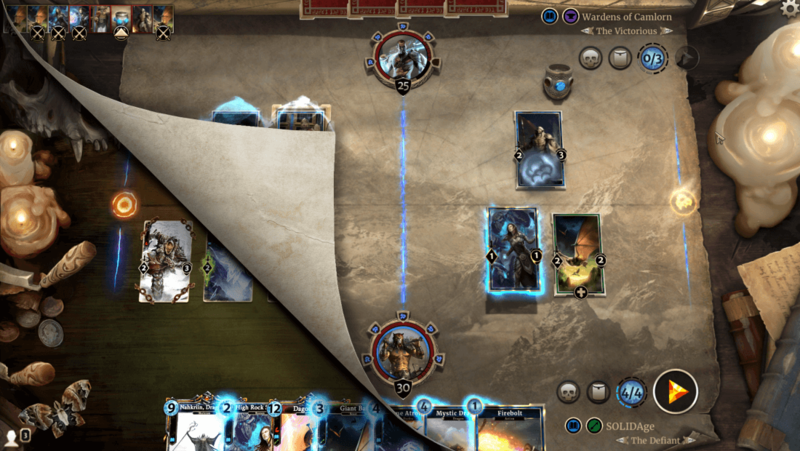 "[The Elder Scrolls Legends] is a strategy card game that encompasses both single and multiplayer," Hines said. "It is our intention in order for the game to come out, it has to be those things on any system." Pete Hines could be referring to the recent spat between Nintendo and Sony, which involved the latter blocking Fortnite's PS4 players from using their game accounts on the Switch. "We continue to talk to all of our platform partners. But those [terms] are essentially non-negotiable. We can't be talking about one version of Legends, where you take your progress with you, and another version where you stay within that ecosystem..."
Though Hines stopped short of outright saying so, it certainly sounds like Bethesda is willing to sacrifice PS4 sales in exchange for flawless cross-platform play. This is a bold move, but it may not pay off. In theory, Bethesda needs Sony a lot more than Sony needs Bethesda. 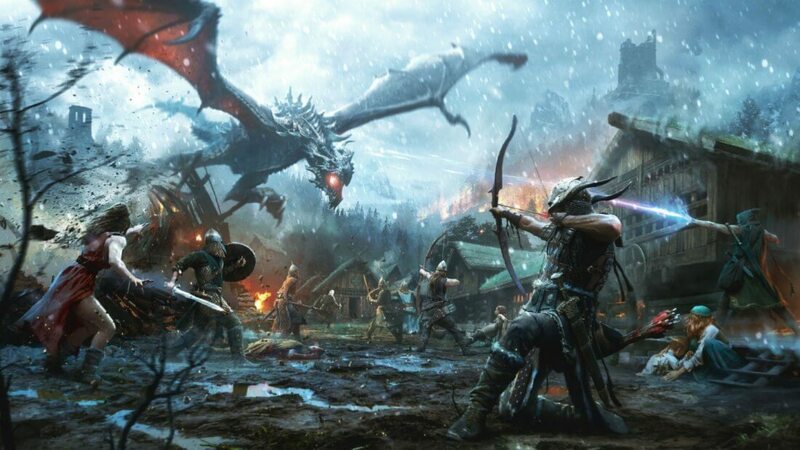 The Elder Scrolls: Legends is likely only a drop in the bucket for Sony, whereas Bethesda may be ignoring the revenue it could earn from one of the most popular consoles on the market. If Bethesda started a war against Sony over their stupid anti-gamer stance on cross-platform, I would back Bethesda 100%. There's no excuse in this day and age to be this tone-deaf for a bit of greed. Bethesda would have Android and iOS, I don't see why they need PS4 that bad (besides greed lol). Reehahs, mosu and ShagnWagn like this. Remember how Sony destroyed Microsoft with the game sharing fiasco? Microsoft can flip that script with the next generation and Bethesda wins either way. Rejecting Sony is a strategic move for Bethesda, not a financial one...and Sony has substantially more to lose in the long run. Reehahs and Evernessince like this. All in the name of the love of money. I hear the whambulance going by. I agree. It would be pretty bad if Sony wants to risk the next fallout, elder scrolls, and other Bethesda titles over cross-play. These titles are popular enough to get people to buy the competitor's console just to play the game if Sony doesn't play ball. I'll admit it would be amusing to watch that play out. Really the only one who looses though is Sony, as Bethesda's biggest platform has always been PC thanks to mods, where they can sell their games for $30 3 years after launch or $60 for VR versions. Sony has the biggest market share... just think about what you put, I personally agree with the author of this article. Exactly. It's the reverse of the "console exclusive" idea: instead of asking which games are only available on console X, they'll start asking which games aren't available on console X, & start using that as their basis for choosing a console. *second biggest, behind PC. Most of Bethesda's sales come from the PC market as well. In the case of Bethesda games, Sony is the one who needs Bethesda, not the other way around.